A clearly convenient way to enjoy clean, sharp lenses at home or on the go! 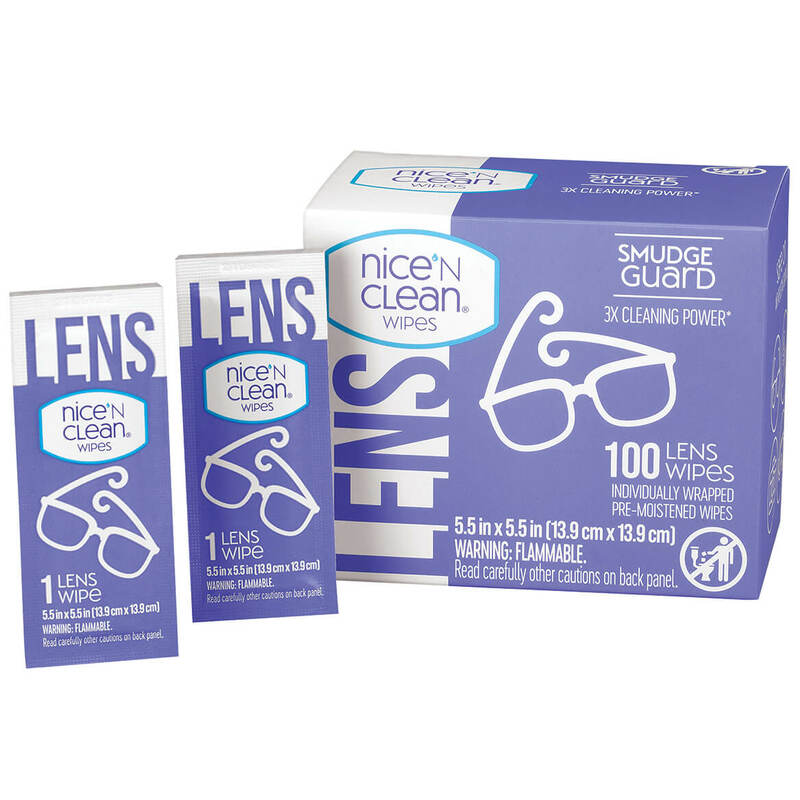 Nice ‘n Clean Lens Wipes remove grime and fingerprints from all your lenses without leaving streaks or scratches. Perfect for eyeglasses, cameras, touch screens of all types, monitors and much more. They’re even safe for displays with anti-reflective or anti-fog coatings. Disposable wipes are pre-moistened with a light citrus fragrance and individually wrapped for a fresh, clean wipe every time — simply tear, wipe and toss! So attractive, yet hard working, too. Personalized eyeglass case has wide mouth that lets glasses slide in and out easily; plush lining and hard sides really protect. And the compact size fits any desk, dresser, nightstand. 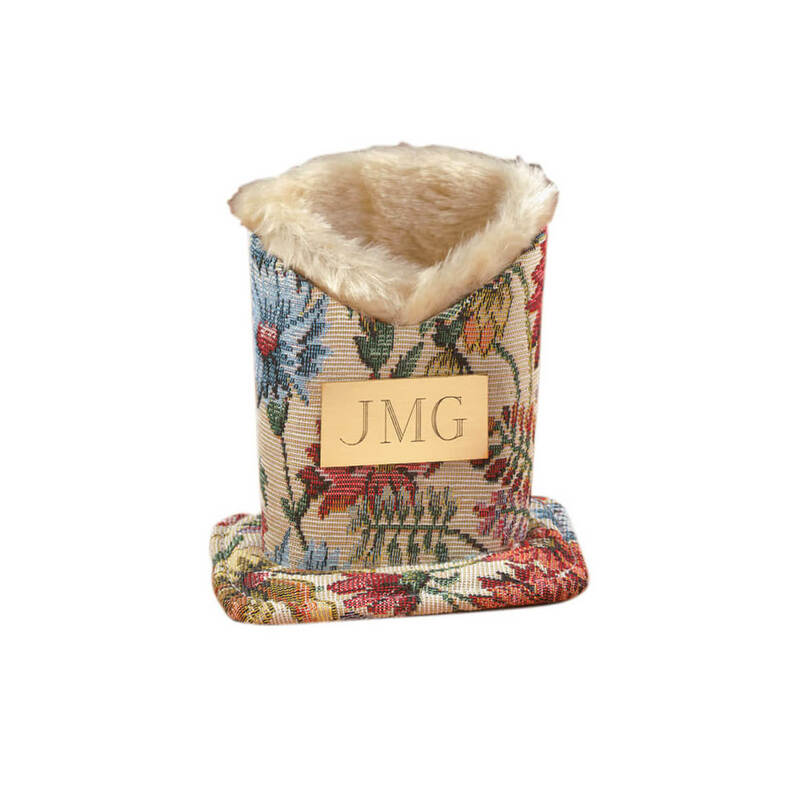 Personalized glasses case is 4 1/2″ high. Personalize with 3 initials, please specify in order (first, middle, last). Folks are raving about these pinhole eyeglasses—saying the tiny perforations seem to help eyes focus with less strain while watching TV or reading. Based on the concept that each pinhole allows a narrow beam of light through to your eye, and that reduction may have potential to enhance depth of focus, these pinhole glasses could offer the natural relaxation your eyes are looking for! 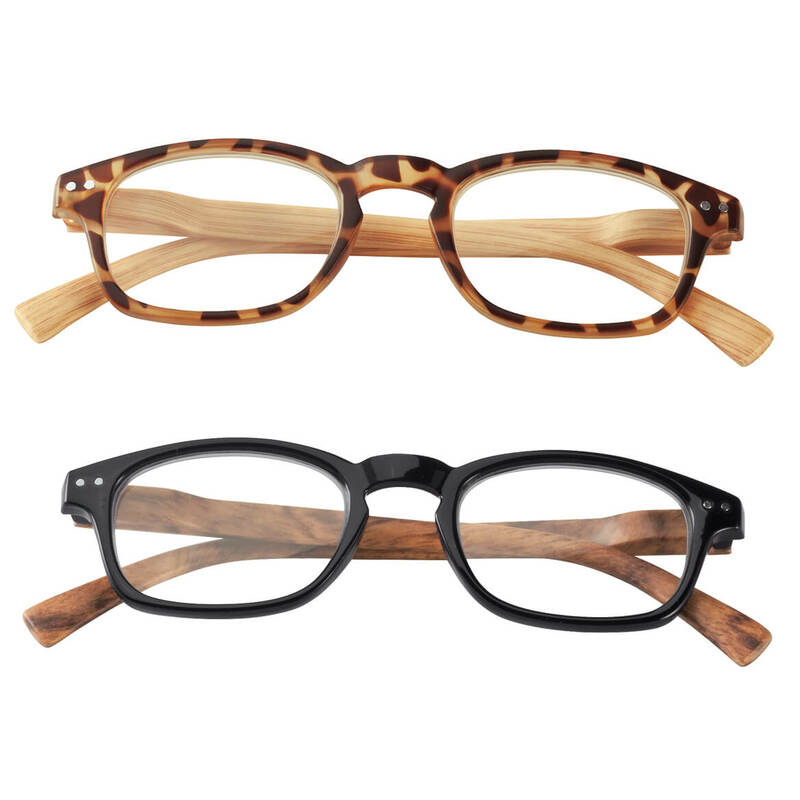 Unisex design features stylish tortoise frames. One size fits most. Pin hole glasses made with plastic. 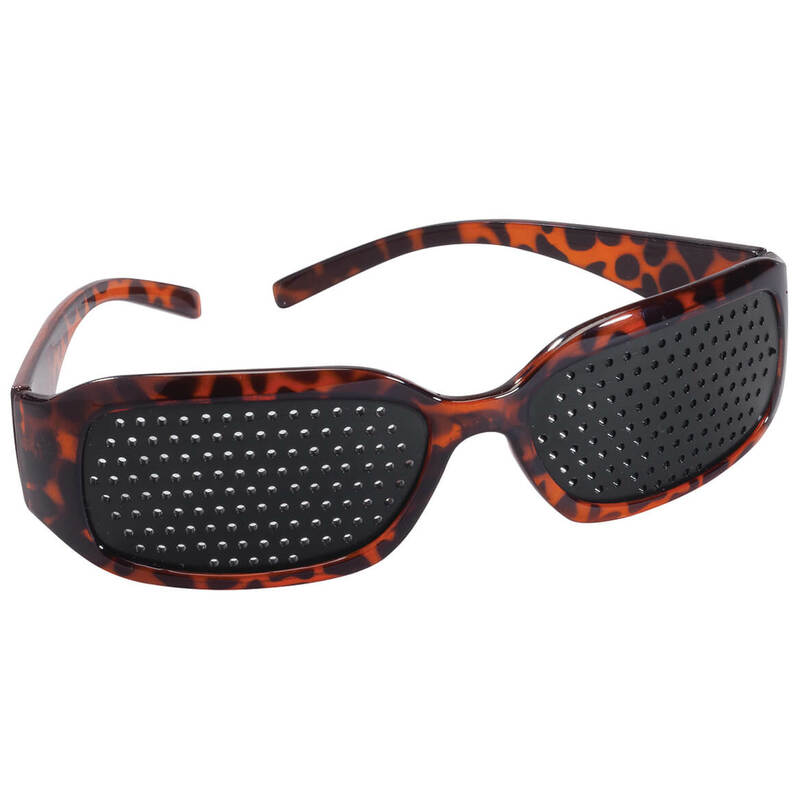 Designed with frames that are incredibly durable, flexible, and lightweight, these readers with flexible bows and ear grippers contour to your face comfortably and bend under pressure to resist breaking. 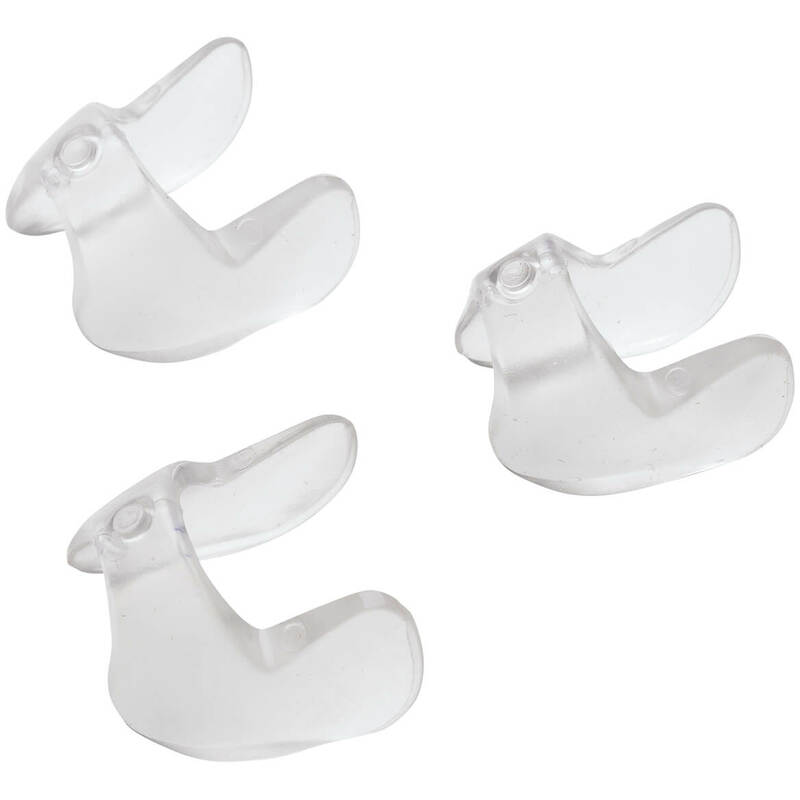 Soft rubber grippers on ear pieces prevent the comfy readers from sliding, and 3 EXCLUSIVE colors flatter you in style. Available in hard-to-find higher magnifications up to 6.0x, these reading glasses are priced to please … and a steal when you purchase 2 pairs or more! Specify color: rainbow, blue or tortoise. Specify magnification: 1.5x, 2.0x, 2.5x, 3.0x, 3.5x, 4.0x, 4.5x, 5.0x, 5.5x or 6.0x. 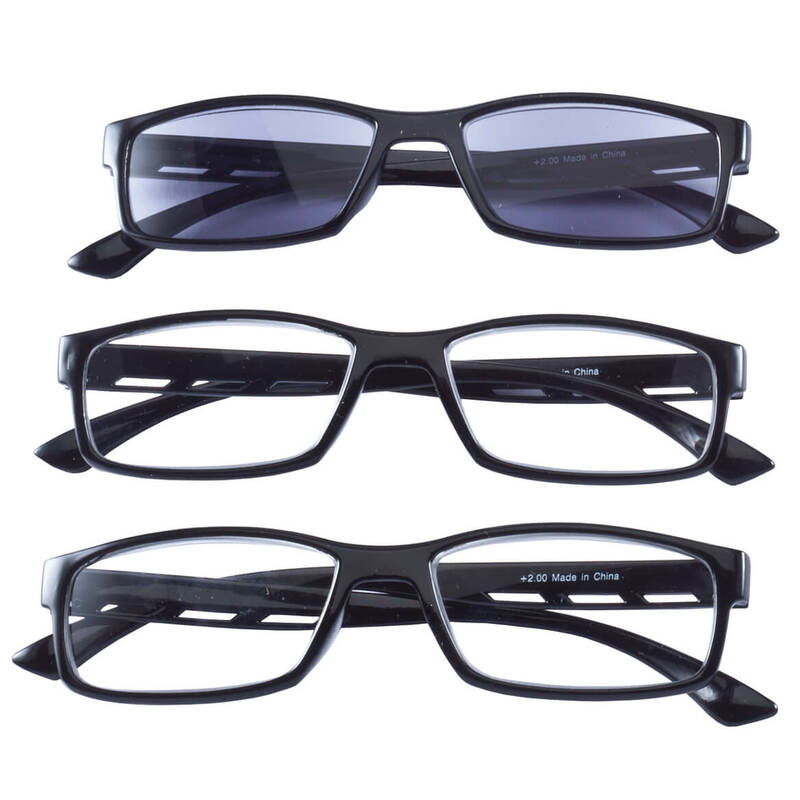 Frames are premium quality TR90 flexible plastic. FDA registered. With two pair of readers, one pair of sun readers and one SPEC-tacular price, this reading glasses with sunreader set makes it easy to wear a pair, stash a spare … and keep one handy for the beach. The classic, unisex reading glasses feature polycarbonate frames and acrylic lenses; sunreaders have tinted lenses for the look of sunglasses. Specify magnification: +1.50, +2.00, +2.50, +3.00, +4.00, +5.00, +6.00. Round frame retro readers combine vintage style with modern convenience. 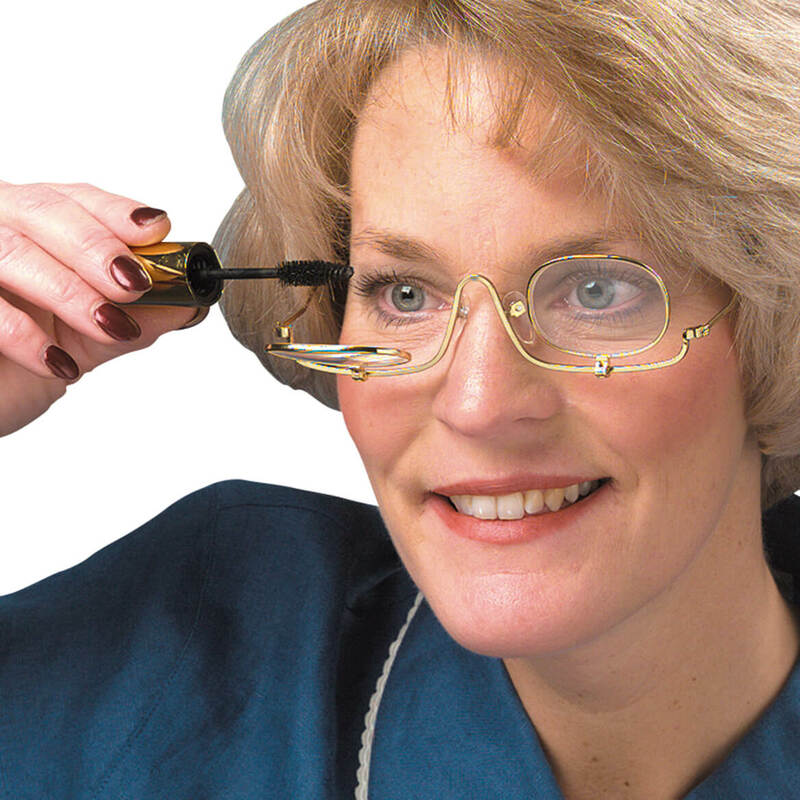 Perfect for reading and computer use, these quality reading glasses help ease eye strain and improve visibility — and they’re available in 10 magnifications, even hard-to-find +6.0! 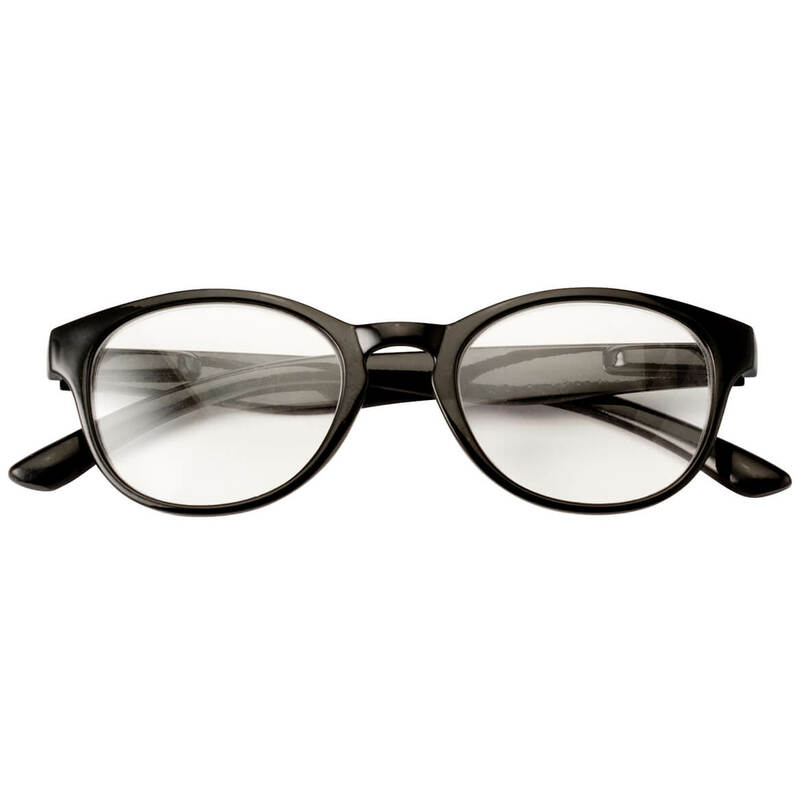 Lightweight plastic frames feature spring hinges for a comfortable custom fit perfect for men or women. Retro glasses sold individually. Specify black or tortoise. Specify magnification: +1.5, +2.0, +2.5, +3.0, +3.5, +4.0, +4.5, +5.0, +5.5, +6.0. Visualign™ Speclifter™ gives eyeglasses a lift for improved comfort, posture and clarity. Simply position this eyeglass accessory on the bridge of your nose beneath your own glasses. By raising your bifocals, trifocals or progressive-lens glasses, you can view close objects straight ahead through the lower portion of your lenses — perfect for reading and other up-close work while maintaining good posture for less neck strain, tension and fatigue. Glasses holder’s comfortable design also cushions your nose and prevents glasses from slipping off. Set of 3 accessories for eyeglasses. 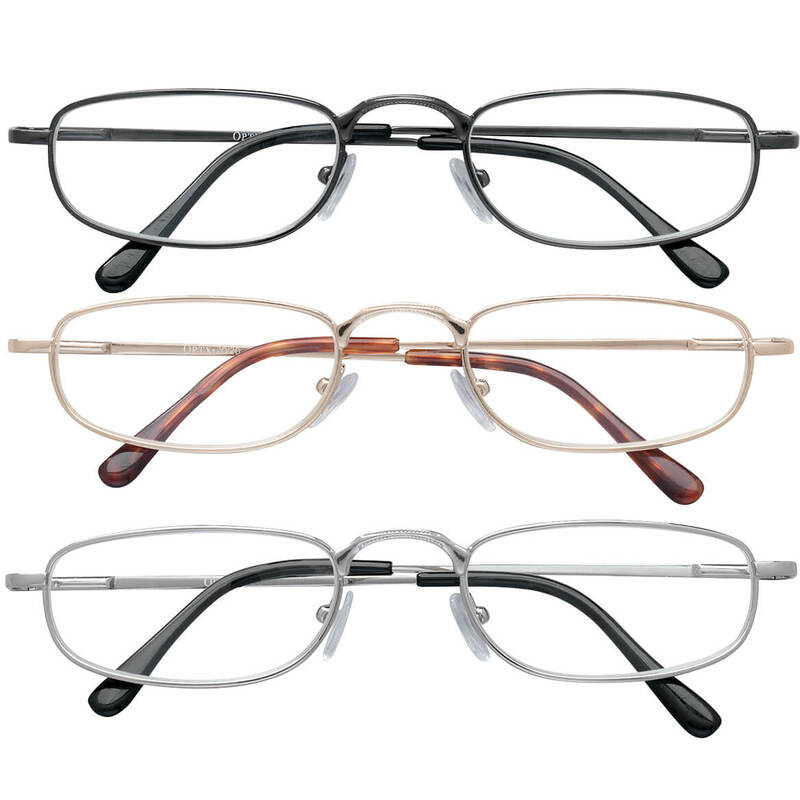 Unisex reading glasses with durable spring hinges come in a handy three-pack of colors: chrome, gold and silver. Specify magnification: +1.50, +2.00, +2.50, +3.00, +3.50 or +4.00. Magnifying makeup glasses flip down, one at a time, to apply eyeliner, shadow, or mascara perfectly! No more squinting in mirrors to see. With magnifying specs, eyeglass wearers can flawlessly apply facial makeup. Optical quality, 3X glass lenses make it easy to tweeze eyebrows. 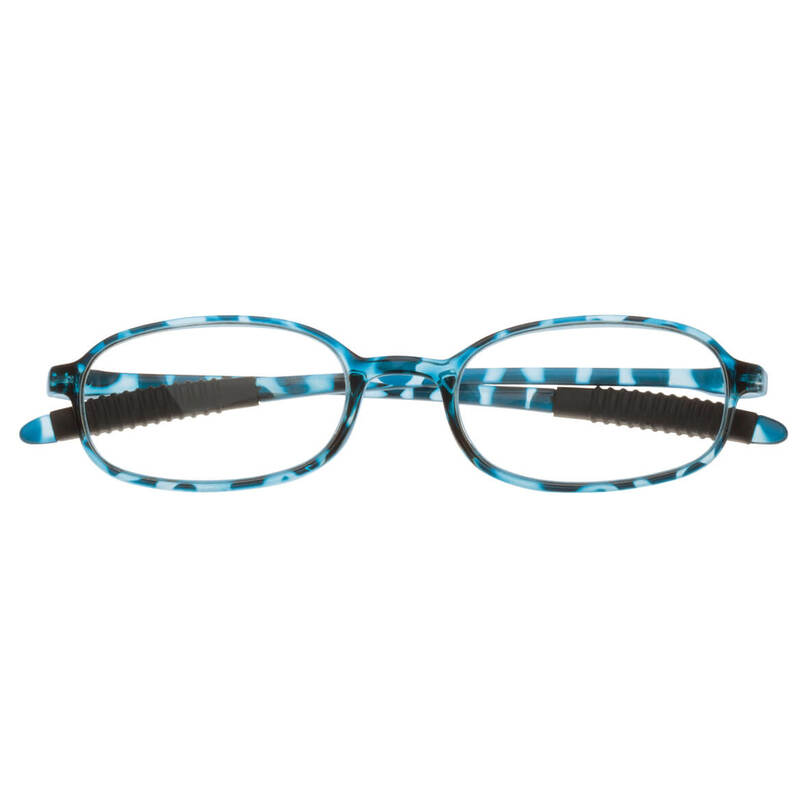 Magnification glasses feature adjustable wire frames; satiny carrying case.